Amazon incorporated on May 28, 1996, offers a range of products and services through its Websites. The Company’s products include merchandise and content that it purchases for resale from vendors and those offered by third-party sellers. The Company has three segments: North America, International and Amazon Web Services (AWS). The Company’s North America segment focuses on retail sales of consumer products from sellers and subscriptions, through its North America-focused Websites, such as www.amazon.com, www.amazon.ca and www.amazon.com.mx. Its North America segment also includes export sales from its North America-focused Websites. 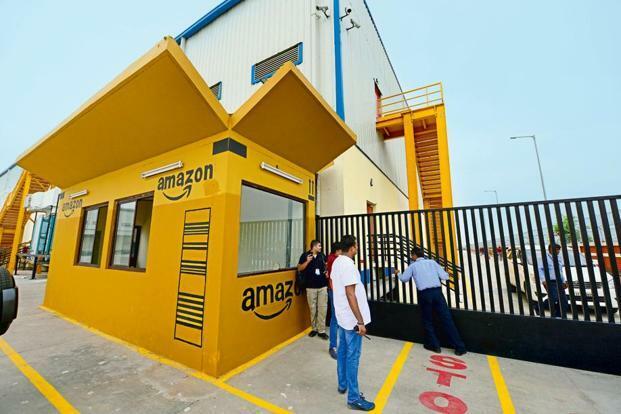 The Company’s International segment focuses on retail sales of consumer products, including from sellers and subscriptions, through its internationally focused Websites, such as www.amazon.com.au, www.amazon.com.br, www.amazon.cn, www.amazon.fr, www.amazon.de, www.amazon.in, www.amazon.it, www.amazon.co.jp, www.amazon.nl, www.amazon.es and www.amazon.co.uk. Its International segment includes export sales from its internationally focused Websites, including export sales from these sites to customers in the United States, Mexico and Canada. The Company’s AWS segment focuses on the sales of compute, storage, database and other AWS service offerings for start-ups, enterprises, government agencies and academic institutions. The Company allows customers to access its Websites directly and through its mobile Websites and applications. The Company offers Amazon Prime, which is an annual membership program that includes shipping on a range of items, access to streaming of a range of movies and television (TV) episodes, and other benefits. It manufactures and sells electronic devices, including Kindle e-readers, Fire tablets, Fire televisions and Echo. Documents to Carry: Carry 3 Copies of resume and Govt id proof. Serlingamplayy Mandal, Ranga Reddy Dist.